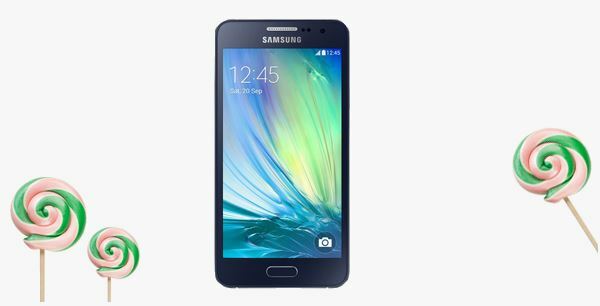 The A series phones from Samsung have long been due of the Lollipop update for the Galaxy A3 which is made available in Russia at the moment and will be available in other places as well shortly. The update which is currently available in Russia is version A300FXXU1BOD5. This version is made available via OTA as well as through KIES. The version is made available only for the Galaxy A3 and not made available for Galaxy A5 and A7 which is a bit strange as the mid-range device is getting the update and the higher end models are being left out of the update. The update is optimized for A3 already and the new material design will be great and neat, the new features which are included are the Lock screen notifications which allows you to check all the notifications directly on your lock screen and another update is the Project Volta which will let you squeeze out an extra 30% of battery life from the existing battery. Another update is the ART runtime which will let you improve the app opening time 2x times faster. The Samsung Apps which are made available by default are also revamped in the material design aspect and this will make the whole OS look new. If you are using the Samsung Galaxy A3 in Russia then your update will be made available immediately and if you are in any other country you need to wait for the update. Other Samsung Galaxy A series devices like the A5 and A7 owners should also wait for the update. We will be updating the news when the Lollipop update will be made available for other countries and A5 and A7 devices as well. Other devices like the Galaxy Tab S 8.4 has also got the Lollipop update and other Samsung devices will also be getting the updates shortly.